BLAZBLUE has always been one of those series in the fighting genre that I’ve actually enjoyed, mainly due to how wholly unique it is. There is always fighting game mechanics, but the story is told in a more visual novel approach, essentially satisfying two audiences at once. It has an action-packed fighting system, but also a copious amount of story content to go through. It’s also a series that’s been on about any console, and now the Nintendo Switch with BLAZBLUE CENTRALFICTION Special Edition, concluding the saga once and for all. CENTRALFICTION picks up right where Chrono Phantasma left off. After the events of the previous game, the world is under threat by a strange orb in the sky and everyone is then teleported into a new world where Ragna the Bloodedge sets out on a quest to put an end to everything he started in the previous games. The story has always been very deep and complex, and CENTRALFICTION takes that complexity to an entirely new level. There are elements from the three BLAZBLUE games that are brought in, but also story elements from the more obscure titles as well. Thankfully, CENTRALFICTION does offer, what seems like, a 20 minute recap of the events from previous games, but it goes by very quickly and introduces new gameplay mechanics or story elements that make it hard to keep track of. If the story isn’t your thing you can still enjoy actually playing it yourself, but this makes it hard for fans, whether new or serious veterans, to truly get the most of the narrative. The presentation is about the same as it was in Cross-Tag Battle, and all the environments and effects look great. I did not care for how the character models have a lot of large and noticeable jagged edges on them which takes away from the very crisp and fluid animations with the gameplay. This unfortunately, makes the visuals appear more blown up and hurts the overall polish of CENTRALFICTION. Thankfully, performance easily makes up for that because frame-rate remained constant and all the load times were very short. In terms of the gameplay, CENTRALFICTION is a 2D fighting title with very heavy visual novel elements thrown into the story mode. First off, the Switch version of CENTRALFICTION is the Special Edition, which includes all of the PS4 and Steam versions DLC packed in, making this version the most definitive experience. When it comes to game modes, there is certainly a lot to peruse. It’s always a good idea to start off in the Practice mode which gives you dozens of tutorials and challenges to learn the main mechanics and character specifics. Story mode has the 12 chapters, story campaign, along with the library that has definitions and an extensive compendium for everything BLAZBLUE. There are five different Battle modes, from the classic Arcade mode, to the customization heavy Grim of Abyss mode, and you’ve got the network function that allows you to do online battles with others from around the globe. Unfortunately, the online wasn’t always running the best and this has been a continuous problem with the Nintendo Switch Online service. With the gameplay, the way characters control is basically the same as from previous iterations. You will still be fighting on a 2D plane, you’ll still perform various combos, and they are all still 1v1 battles. A new addition to CENTRALFICTION was the Active Flow mode that gives you stat benefits when you play very aggressively towards your opponents, but overall it still feels like the same battle system you’ll feel the most comfortable with, and that you know and love. Stylish mode also returns that lets you do button matches if you’re a beginner to perform basic combos and see how the game works. This is also a great way, if you’re not a fighting game fan, to just breeze through the story and enjoy the visual novel elements. All of the content goes well together, especially in terms of content and length. BLAZBLUE has always been known for having lengthy story-driven campaigns and CENTRAL FICTION is no different. It took me roughly 15 hours to clear all of the main scenarios of the Story mode and another three to four hours to check out all of the additional content and subsidiaries. Obviously, this will fluctuate depending on how fast you read and can defeat your opponents in between exposition. 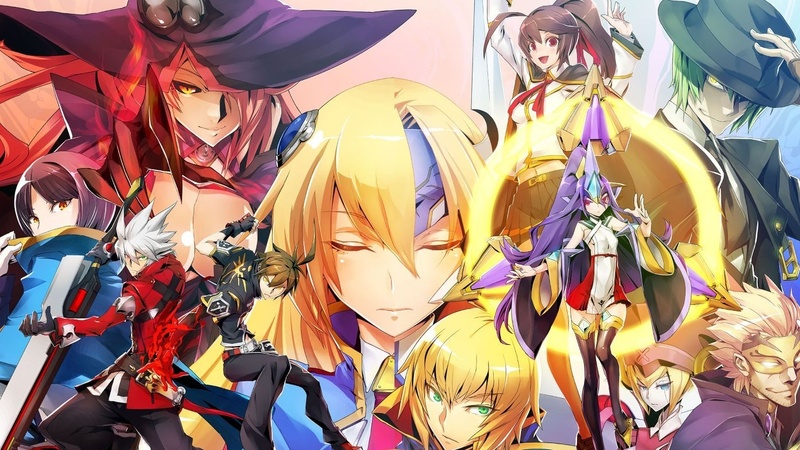 Overall, BLAZBLUE CENTRALFICTION Special Edition is an action-packed and very enjoyable fighter that features an extensive story mode and will appeal to fans who love visual novels. It comes to Switch with everything the other versions had and even more additional content. While players looking for something unique may be disappointed with how confusing the narrative is if you hadn’t been following the series, CENTRALFICTION has some of the best combat of any fighter available.